Ford has announced the 6.7 Power Stroke diesel in 2016 F-650 and F-750 will be available in three power levels, starting with the highest standard output in class. 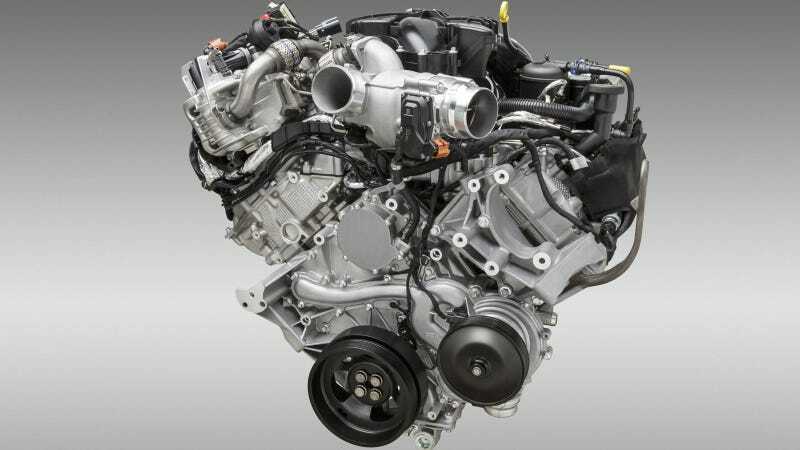 As the only commercial truck company building engines and bodies, Ford thinks they'll be able to deliver a more seamless package than anybody. The second generation Power Stroke will have the highest standard output in the medium-duty commercial class. A 6.8 gasoline V-10 will remain on the options list as well, with 330 horsepower and 440 lb.-ft. of torque to keep the rental fleets happy. That engine can also be converted to CNG. All Ford F-650 and F-750 engines will be mated to a six-speed TorqShift HD automatic transmission commercial, and sold with a five-year/250,000 mile warranty. The trucks will start hitting showrooms Spring 2015. Ford says they plan to "revise their entire commercial lineup over the next eighteen months."